The FluidAqua Mobil units in the series FAM 10 operate according to the principle of vacuum dewatering. 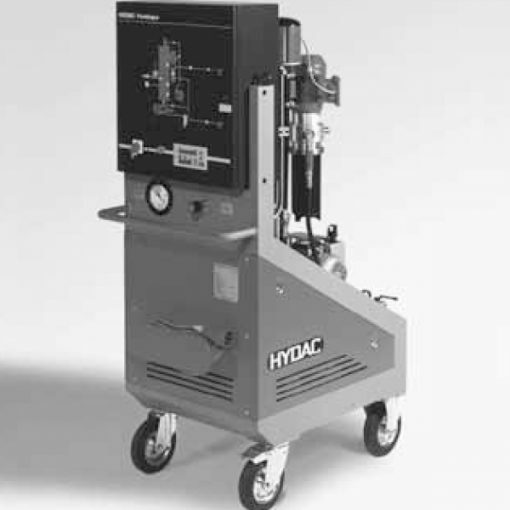 Therefore, they separate free and dissolved water and gases from hydraulic and lubrication fluids. By using HYDAC offline filter element technology with its high contamination retention capacity and separation capacity, the unit is extremely economical. What’s more, all units have an AquaSensor AS1000 for continuous monitoring of the water content and for controlling the unit. It is also possible to supply a particle sensor CS1000 as an option for simultaneous monitoring of solid particle contamination. Furthermore, it also provides an integrated heater to increase the dewatering capacity, for high viscosity fluids or for low fluid temperatures. The Siemens S7 series of programmable logic control (PLC) in combination with a Siemens control panel in various languages guarantees simple and reliable operation.